The red-billed quelea bird Quelea quelea is one of sub-Saharan Africa’s most damaging pests, attacking small-grain crops throughout semi-arid zones. It is routinely controlled by spraying its breeding colonies and roosts with organophosphate pesticides, actions often associated with detrimental effects on non-target organisms. Attributions of mortality and morbidity of non-targets to the sprays are difficult to confirm unequivocally but can be achieved by assessing depressions in cholinesterase activities since these are reduced by exposure to organophosphates. 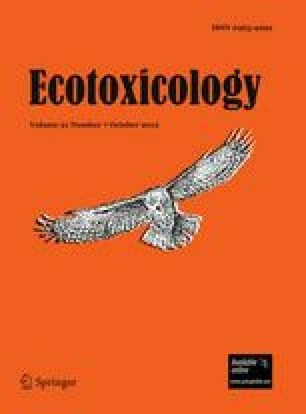 Here we report on surveys of birds caught before and after sprays that were examined for their blood cholinesterase activities to assess the extent to which these became depressed. Blood samples from birds were taken before and after sprays with fenthion against red-billed quelea in colonies or roosts, and at other unsprayed sites, in Botswana and Tanzania and analysed for levels of haemoglobin (Hb) and activities of whole blood acetylcholinesterase (AChE) and butyrylcholinesterase (BChE). Background activities of AChE, BChE and Hb concentrations varied with bird species, subspecies, mass, age and gender. Contrary to expectation, since avian erythrocytes are often reported to lack cholinesterases, acetylcholinesterase activities in pre-spray samples of adult birds were positively correlated with Hb concentrations. When these factors were taken into account there were highly significant declines (P < 0.0001) in AChE and BChE and increases in Hb after contact with fenthion in both target and non-target birds. BChE generally declined further (up to 87 % depression) from baseline levels than AChE (up to 83 % depression) but did so at a slower rate in a sample of quelea nestlings. Baseline activities of AChE and BChE and levels of Hb were higher in the East African subspecies of the red-billed quelea Q. q. aethiopica than in the southern African subspecies Q. q. lathamii, with the exception of BChE activities for adult males which were equivalent. The online version of this article (doi: 10.1007/s10646-012-0911-6) contains supplementary material, which is available to authorized users. The bulk of the research (2007–2010) was financed by the EU ICART CRARF programme (Project number 9 ACP SAD 1-13) managed by the Southern African Development Community (SADC). The initial research (2004–2005, projects R6823/R7967/R8314/R8426, Crop Protection Programme) was funded by the United Kingdom Department for International Development (DFID) for the benefit of developing countries. The views expressed are not necessarily those of DFID. We thank many members of staff of the Ministries of Agriculture in Botswana and Tanzania and Pietie van Niekerk, Jan de Klerk, Joel Mooka and Ezekia Sgudlha for invaluable assistance in the field. Remi and Wendy Borello provided much assistance and hospitality in Botswana where R. Kgosi, P. Malikongwe, M. Modise, T. Moruti, M. Murata (SADC) and C. Tizikara (SADC) also provided much help. We are grateful to Christopher Ilori for preparing Fig. 1 and we also thank two anonymous referees and the editors for their constructive comments.